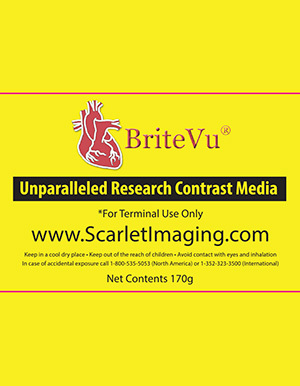 Human knee perfused with BriteVu courtesy of Dr. Bruce Wainman, Education Program in Anatomy, at McMaster University. As a part of a whole cadaver perfusion, the knee was isolated and image adjusted to show the deeper vessels. 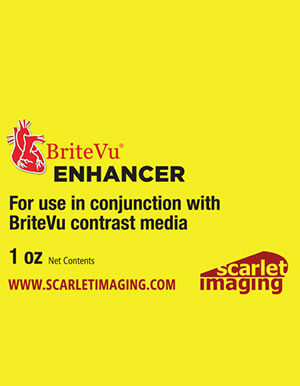 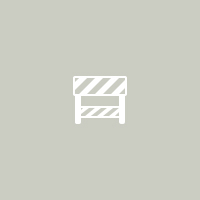 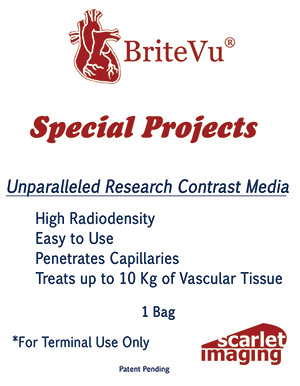 BriteVu Special Projects was used as the contrast agent. 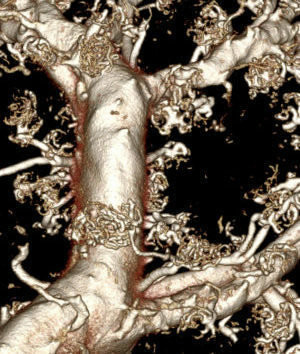 CT performed on a GE clinical scanner and 1 mm slices taken. 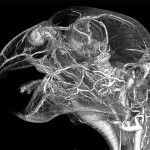 Images such as these are being used to teach anatomy unlike ever before. 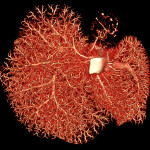 The images can be converted to 3D viewing tables allowing students to study blood vessels and bones from any angle. 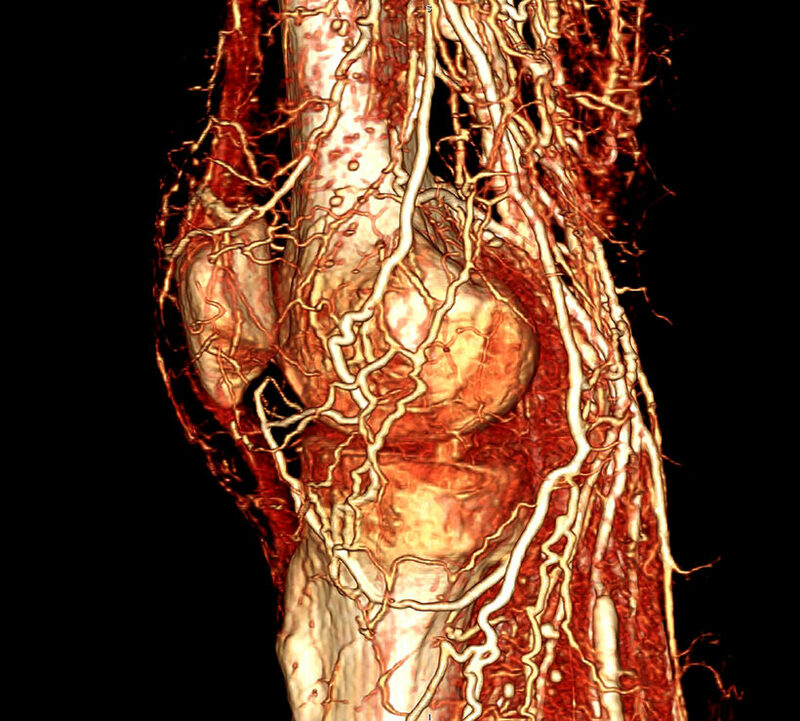 This is a significant difference from studying anatomy referenced in textbooks and photographs that offer only 2D (flattened) images of what are truly 3D objects. 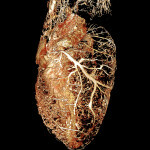 For more details on human cadaver perfusions, contact us!